So it's that time again, to round up all the things you want whether you can have them or not. Me? 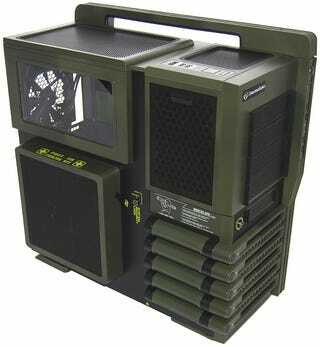 I want this case, but damn is it expensive. It's pretty tough to justify spending this much on a case. But damn it's a nice case. Oh, did you think I wanted PC related stuff this week? Nope! I'm still lusti- ahem wanting to expand my new figure collection. Incidentally I've been watching Steins;Gate and stumbled upon this 1/8 scale Makise Kurisu figure by Kotobukiya. I like the series so far, but wasn't sure if I liked it enough to pick up a figure from it. But damn! Even if I hadn't seen the series this figure would still be tempting. Kotobukiya really seem to go to town on their bases. Sadly though it's long sold out and has already been re-released once already. I might be able to get my hands on it, but it's a bit beyond my budget. Setting that aside, it's figma time! So there's that on the horizon as well. Well TAY, that's me for this week. What have you lot got your greedy little eyes on?